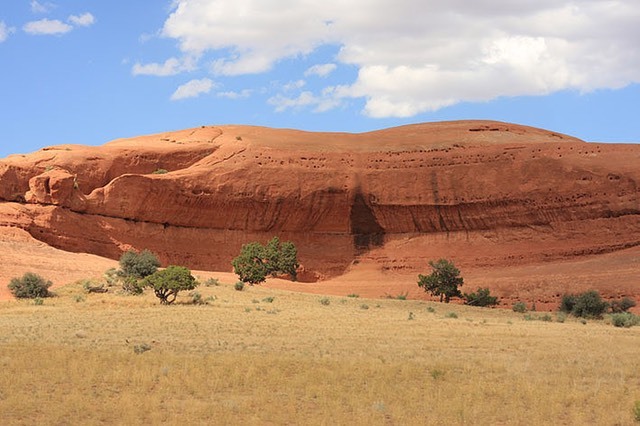 ... is one of a set of landscape photos taken on our 2011 road trip though the Beehive State's Big Five, the national parks behind the slogan 'Utah Rocks! ': Arches, Bryce, Canyonlands, Capitol Reef and Zion. Other photos in this set include Peregrine Falcon in flight at Bryce, Hoodoos at Bryce, Bryce Amphitheatre, Natural Bridge at Bryce, Pinyon Pine at Sunset Point, Needles Overlook at Canyonlands, horse at Gifford Homestead, Goosenecks Overlook at Capitol Reef, Fremont Petroglyphs, Bighorn Sheep, Lwer Emeral Pool, Moon over Zion (viewed from the wonderful Bit & Spur Saloon and Restaurant) and more.